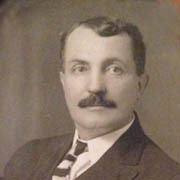 Richard Jarrett was born in Wales in 1870, Richard played for his National Team scoring 3 goals in two International appearances. Richard came to St. Louis by way of Canada. Like many immigrants, he knew the history that the city of St. Louis had already garnered in the world of soccer. He was able to get a job that he held for over 25 years in the St. Louis City Assessors office. In 1918 through the 20’s, he helped coach the US Olympic Teams. Most impressive in his resume is that Richard organized and was the force behind the original St. Louis Muny Soccer League. Nancy Lay-McCormick – Acquiring her love of the game as a player in St. Louis, Nancy accepted a scholarship to the University of Central Florida achieving National AIWA and NCAA Finalists along the way. Nancy was also recognized as an NSCAA All-American. Returning to St. Louis to coach at Villa Duchesne and Pacific High School, she also continued playing for J.B. Marine and Busch winning state, regional, and national championships. 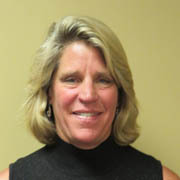 Virginia Development Program led Nancy back the east coast area where she coached boys and girls in Olympic Development programs in Georgia and in the Florida area where she was named Florida State Coach of the Year and continues to coach to this day at Clearwater High School. While accomplishing all of her playing and coaching honors, Nancy decided in 1985 to start a career in refereeing. Starting in high school, she quickly moved to National Intercollegiate, then on to US National and Assessing, along with Professional Women United Soccer League and Nancy was the first woman to referee in the MLS. Nancy developed the Florida State Referee Teaching Association that a number of states are using as a prototype for their particular needs. Nancy also developed the Women Referee Academy for US Soccer developing officials for women at the National Veterans Cups. Karen Lombardo-Baker – As a member of the UMSL Womens’ Team, Karen was a three time leading scorer and as a team a three time final four appearances in NCAA Division I Tournaments. Karen moved her senior year to Cardinal Newman finishing a runner-up while receiving All-American honors. While continuing her playing career, Karen played from 1980-85 in the St. Louis Championship Cup and Regional and Open National teams.Taking her playing skill to the coaching level was the next step. Karen was an assistant at Incarnate Word with trips to the Final Four on five different occasions that included two Missouri State titles. At the same time Karen was the ladies head coach at Florissant Valley CC. earning three Conference titles and two NJCAA Championships and a runner-up. 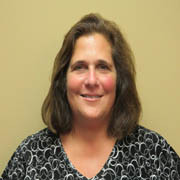 Karen was the first and youngest female to receive not one but two NJCAA Coach of the Year Award. Steve Maurer – At a very early age, Steve was already noticed that he was to be a stand-out on the forward line. While a member of the Busch Soccer Club, Steve was also a member of the Under-17 National Team. While attending St. Louis University, he was a member of the Under-20 National Team playing in the Under-20 World Cup in Mexico. 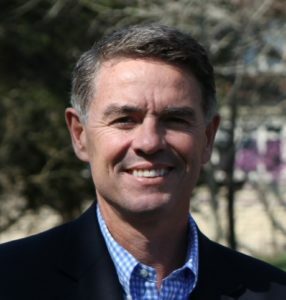 As a member of the Busch Soccer Club, Steve won multiple state and regional championships and in 1980 the Tournament MVP at the US & North American Youth Soccer Championships. After graduating, Steve played a season with the Canton Invaders. His return to St. Louis found him playing for the Kutis 1986 Lamar Hunt United States Open Championship. Then it was on to the St. Louis Ambush from 1991-96, with a NPSL Indoor Championship in 95. Retiring from pro career, Steve continued on the Kutis SC, Kutis-30, and Biggies Soccer Clubs winning additional championships. Steve gave back to the soccer community with 25 plus years of Directing CYC Soccer Camps in the parishes of South County. 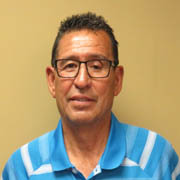 Vince Piñon – During his senior soccer career, Vince played on a number of championship teams, from PNA, Rosary- St. James, St. Philip Neri, CSMAC, and with Lindburg winning a Missouri Amateur Cup and the Marre Cup Champions the same year. After attending Florissant Valley CC where he was a member of a National Championship Team of 1971 and receiving Honorable Mention All-American honors in 1972. Vince finished his soccer career with the Busch Soccer Club winning another Missouri Amateur Cup and the Pepsi League Championship. Those who played on the same team or those who opposed a team where Vince was on the roster, knew there was no better player they could count upon to give the hardest game he could play each game. Carl Schwarzen is a founding member of the White Star Soccer Club, where he starred as a dominant force and defensive leader on the team. 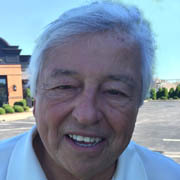 Winning Missouri Open and Amateur championships in the same year, Carl accepted a soccer scholarship to Quincy College in 1966. At Quincy, he was called upon not only as a player but also as the team leader who would inspire and get the most out of each team member. This was so evident that he helped lead the team to an undefeated season and their first NAIA National Championship. Carl became NAIA All American and was selected to the All Star Team along with Most Valuable Player and was recently selected as a member of the First 25 in the First 25 years of soccer at Quincy. After one year at Quincy, the St. Louis Stars called upon Carl to join the inaugural team in the NASL. 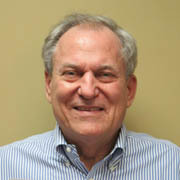 In 1968, he joined the Baltimore Bays and also continued as an Assistant Coach at Quincy, where he helped lead them to a second NAIA Championship. Carl continued his St. Louis playing career with the Busch SC before retiring. 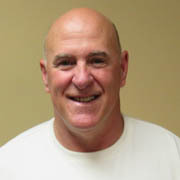 Greg Vitello – Retired head coach at De Smet High School, Greg had started in 1968 and led the Spartans to 33 District Championships, 12 Final Four appearances, and five Missouri State Championships. 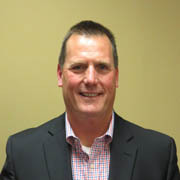 Greg is currently the 3 winningest coach in Missouri High School for boys. 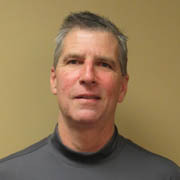 Voted 1993 National High School Coach of the Year, the Post-Dispatch Coach of the Year twice in the 90’s and was most recently voted into the Missouri High Coach Hall of Fame in their Inaugural class of 2012. To this day, Greg continues his mentoring of kids through soccer as an ambassador to the New Dimensions Program.